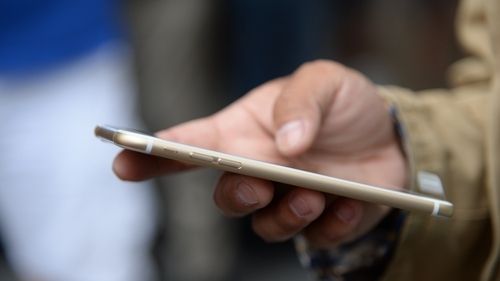 Smartphone users in Ireland check their devices 57 times a day, a new survey has found. The study has also discovered that three million people in Ireland, equivalent to 90% of the population, now have access to a smartphone - higher than the European average. The research, carried out by Ipsos MORI on behalf of Deloitte, involved questioning a nationally representative sample of over 1,000 people aged 18-75. It found our love affair with the smartphone is growing, with half of those surveyed saying they think they use their mobile phone too much. 44% of people check their smartphones during the night with the time, social media and messages the most commonly checked items, the research found. But among those aged 18-24, night time use is even more common, with 60% checking their devices in the small hours. Our smartphone obsession spans the entire day, with 40% of people in Ireland looking at their devices within five minutes of waking and just under a third checking them within five minutes of going to sleep. The survey reveals that mobile phone use among older people has grown by 6% to 54% since last year, with eight in every ten of those carrying a smartphone.